SWBC is thrilled to announce the launch of our newly redesigned website! After more than a year of strategic development, an upgraded infrastructure, hard work, teamwork, and commitment, our much improved website went live on April 1, 2018. Data is everywhere. We store it in our internal business systems and in the cloud. We collect it from our clients and share our data with business partners. Leaders need data, value it, and are able to amass it. We carry data with us and leave a digital footprint every day. Technology providers help us store it forever and share it globally. 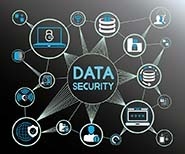 In the data breach era, leaders face greater risk if they fail to protect data throughout its lifecycle. Many business professionals that I regularly interact with are somewhat perplexed when it comes to LinkedIn. While most people of all age groups understand the basics of social media from a personal perspective—Facebook, Twitter, Instagram—LinkedIn falls into a different category where the lines of what to include in your profile and what type of content to share can become blurred. If you're using LinkedIn to build your professional network, generate leads, or search for career opportunities, there are simple updates you can make to your LinkedIn profile today to help you achieve your goals. Today, I'll cover five enhancements that will help you improve your searchability, describe your expertise, and establish your authority in your business or field of work.